Live Music Entertainment with No Limits. We provide the complete entertainment package, including a high-quality sound and light show that transforms any venue into an experience. Our award-winning band, None Other and our sophisticated and professional DJs, Stereophonic DJs make Wiley Entertainment the top choice for live entertainment with no limits. From corporate galas to weddings and social events. Our award-winning band, None Other, is trained in nine genres and puts on high energy, no limits performances that bring life and excitement to every crowd. A classy alternative to typical DJ services, offering sophisticated professionalism, without the cheesy and awkward options all too prominent at private events. Ordinary bands play ordinary events. If you want your event to be extraordinary, you need musicians who will exceed expectations. Our award-winning band, None Other, puts on high energy, no limits performances that bring life and excitement to every crowd. None Other is available as a six to ten-piece band, with male and female vocals which are ready to create an unforgettable experience for your guests. Whether you’re into Pop, Rock, Motown, Disco, Country, or you name it; we can get the crowd out of their seats and filling the dance floor. 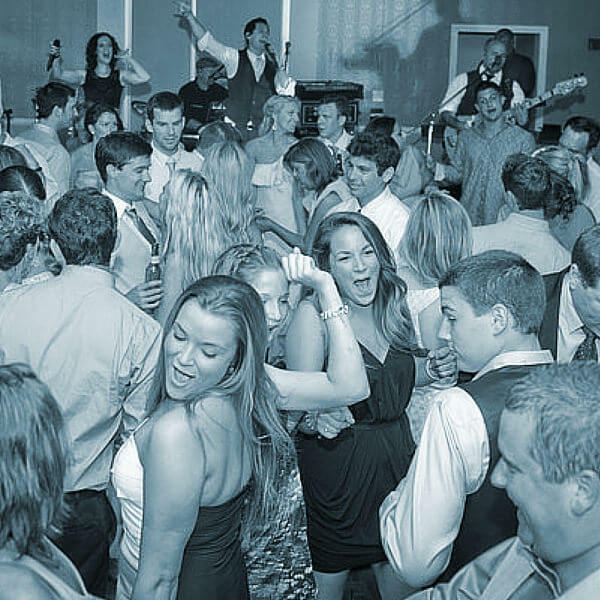 Wiley Entertainment offers the best live wedding band and DJ performances in the country. 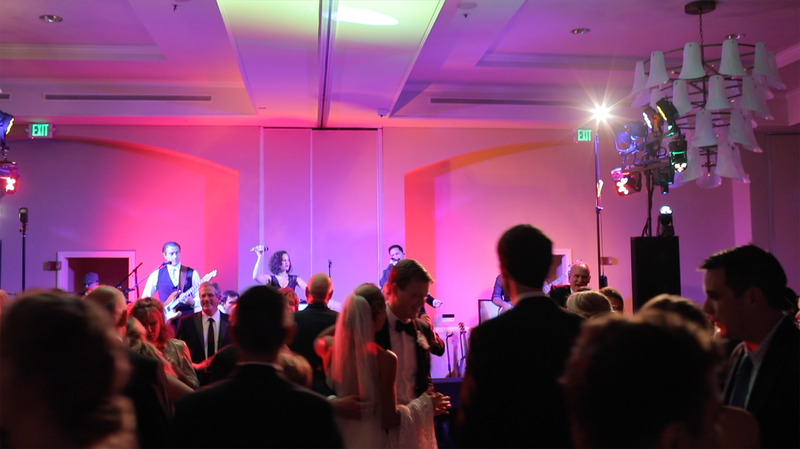 Our talented entertainers will fill your upscale wedding ceremony or reception with contagious energy and life. We customize an entertainment package that perfectly matches your vision and style with our performance. All you’ll have to focus on for your big day is making memories. I knew I wanted a band from the very beginning. It was one thing I was dead set on having at our reception. It was one of the more stressful searches, especially from afar, as I knew a band could make or break our reception. From the first video, we watched of None Other we knew we HAD to have them play at our reception. It turned out to be the BEST decision! Our guests are still raving about how great they were! Clint and the band are experts at reading the crowd and playing what guests enjoy. The entire experience of working with Clint was seamless and easy... Worth every penny! Look no further... just book None Other! I cannot stress that enough! They provided an incredible performance at every part of our wedding -- the beautiful guitar at our ceremony, the lively saxophone during cocktail hour, the enthusiastic wedding party announcement, the perfectly performed first dance, father-daughter dance, and mother-son dance, and most importantly, THE EPIC DANCE PARTY!!! We didn't want them to end! This band. is. amazing!!!!!!! My husband and I are from New York and planned a destination wedding in Naples, FL. Our biggest fear was having a "Non-New York" band for our guests. We wanted to make sure the energy was high in the room and the dance floor was packed all night. Let me just say, this band not only brought it New York style but EXCEEDED any band we've ever heard in NY. All our guests raved about how amazing Clint Wiley (lead singer) and his band were. Additionally, the music selection was out of this world. The band catered to the vibe of the room and evolved as the night went on. The absolute best!!!!! Live entertainment with no limits. When you choose Wiley Entertainment, you’re not just getting a set of songs. You’re getting an experience that will make your event spectacular and unforgettable.